On October 11th, we lost one of the hardest working musicians on the circuit. 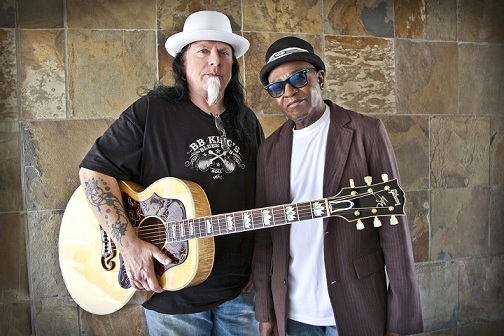 Over the past three decades, Smokin' Joe Kubek, along with his musical partner and collaborator guitarist and vocalist B’nois King, made one album after another and were in near constant touring mode. Starting in 1991 with their debut album, Steppin’ Out Texas Style, the tandem released eighteen full length CDs. In 2012, after years of recording with various labels, Kubek and King traveled west to record their first, and as it turned out their last, all acoustic album on the Delta Groove Music label, Close to The Bone. They followed that up with another album that found the increasingly bluesrock leaning duo recording their most traditional blues album in decades, the appropriately named, Road Dog’s Life﻿. 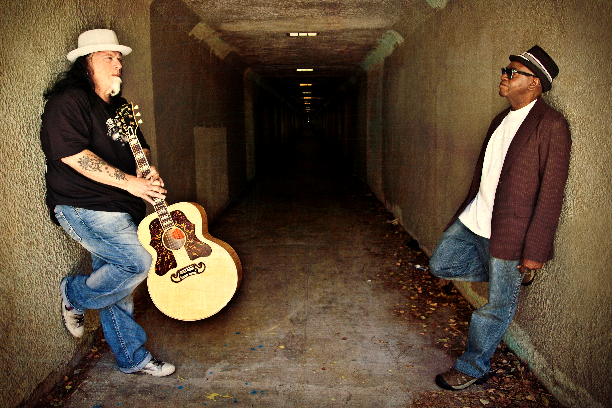 In advance of his 2012 release Close to the Bone, I conducted an interview with Smokin’ Joe. I found Joe to be the consummate gentlemen. He was a warm, gracious and engaging human being. He will be missed. 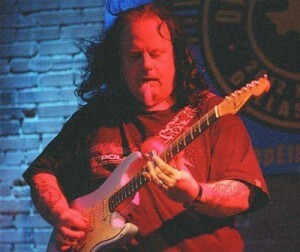 I hope the family, friends and fans of Smokin’ Joe Kubek enjoy a conversation I had with Joe back in July of 2012. 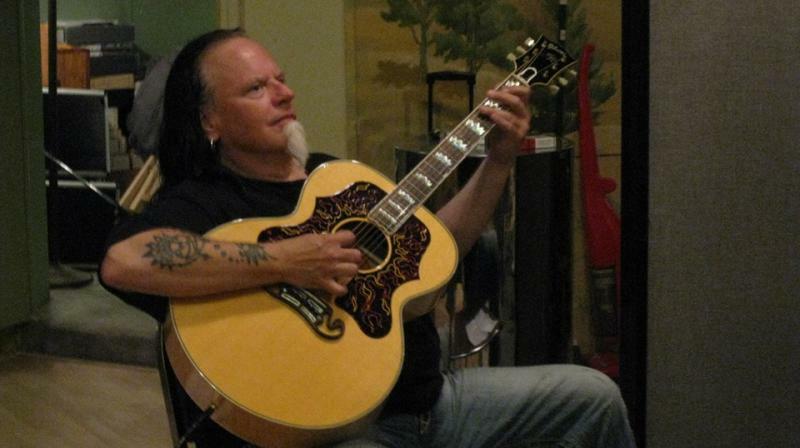 Joe Kubek is in our November 2015 Monthly Artist Spotlight which I dedicate to B’nois King. 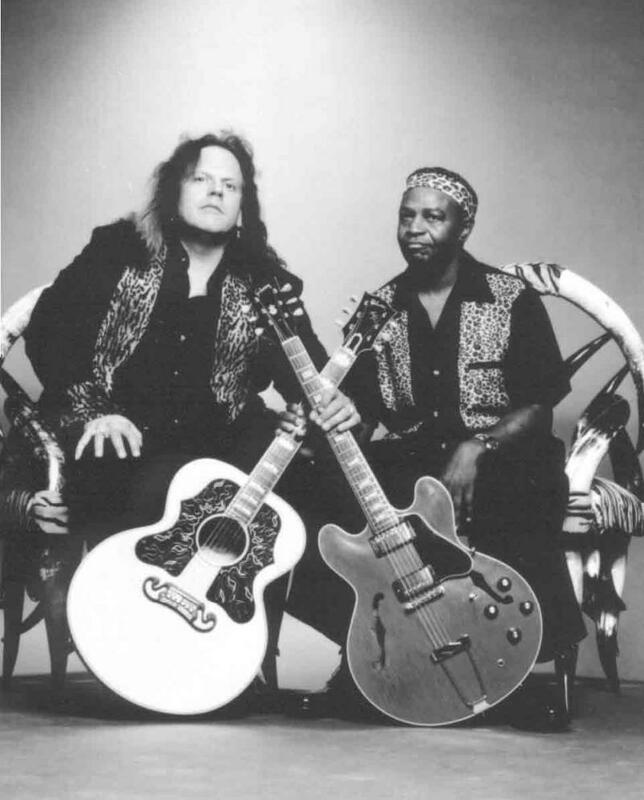 In 1990, someone told me that Dallas based guitar players, Smokin’ Joe Kubek and B’nois King were going to record and tour together. At the time that notion sounded about as logical as these two guys making an all acoustic CD in 2012. Kubek had already developed a reputation as, dare I say, a smokin’ guitar player. B’Nois King, at the time, had a weekly residency at a little joint in an upscale neighborhood in North Dallas appropriately called, The Upper Crust. Even in Big D it can be a small world as my brother sat in with King on bass for about a year. In visiting with Joe Kubek last week, he told me his sister used to work at The Upper Crust as well. Kubek also told me what my brother had told me decades earlier and that is that B’nois King is a monster guitar player. Well, anyone who has heard this tandem perform already knows that. What made the pairing, at the time, seem so odd was that their styles seemed too disparate to meld into any type of cohesive unit. Like everyone else who was rolling their eyes, I was of course wrong. What Kubek and King heard in each other turned out to be a sound only they envisioned. The two ended up being so closely associated with one another it is now hard, after twenty three years, to separate their legacies. I don’t think we have to, as a quick check of their touring schedule indicates the guitar playing tandem has no plans to slow down anytime soon. The blues-rock approach of Kubek with the jazz influenced chops and buttery vocals of King have become one of the most instantly recognizable and enduring acts in the blues for most of the last three decades. Now, in 2012, they have fans scratching their heads again as the two electric guitar slingers make an all acoustic album. I first heard about the acoustic concept for this album last December and have been anxiously awaiting its arrival, albeit with some trepidation, ever since. The record entitled, Close to the Bone will be out on September 18th. It is a spectacular album that doesn’t sound like two electric guitar players doing an unplugged one off. One would swear they were born to make this music. The entire record is imbibed with King singing about themes that are as contemporary as today’s headlines and as timeless as the human spirit. The guitar playing is as complementary and sympathetic as these two men are to one another. The world isn’t all that small I suppose because, even though I have seen Kubek perform with King in Dallas, Houston and in my native California, I have never met the man known as Smokin’ Joe Kubek. Thanks to Jeff Fleenor of Delta Groove Music for helping Smokin’ Joe and myself to finally get together after all these years. David Mac (DM): Joe, I have always wanted to ask you, where did the “Smokin’” moniker come from? Joe Kubek (JK): That was hung on me back when I was 17. The next thing I know, there it is. I don’t know why it just stuck with me, but it has. DM: When I think of “Smokin’ Joe” I always thought of the former heavy weight champion of the world, Smokin’ Joe Frazier. JK: I quickly added please don’t show him that. DM: Good move. Do you remember when you became interested in the guitar? JK: I remember being in the first grade and watching the Beatles debut on the Ed Sullivan show and for some reason that just made an impression on me. DM: Can you imagine how many kids said to their folks the next day, “I want a guitar”? JK: Oh yeah, I became fascinated by the instrument. DM: I have read your bio on your website and it said you played with Freddy King while still a teenager. That is pretty serious. JK: Yeah, THAT Christmas night. He died like a day or two later. He was fine on stage. His last performance was unbelievable man. We were over at Deacon Jones’ house in Dallas, rehearsing when we got the phone call saying he passed away. Needless to say we were in shock. DM: As you were coming up through the ranks, there were so many guitarists that were just a few years older than you in Texas that were just so darn good and already a little more established. Did you ever feel a little intimidated by all the talent out there? JK: I used to sneak into these clubs and catch a band called, Storm which featured Jimmie (Vaughan). His playing, even back then, was just jaw dropping you know. He was always cool man. Jimmie decided early on he was going to play blues. Nobody wanted to hear that stuff man, I mean he was starving to death. For me, it’s like I don’t care how well you play guitar it’s like how well do you play blues guitar? Like you said Dave, there were a lot of cats back then that were monsters. I don’t think you see as much of that in Texas these days. 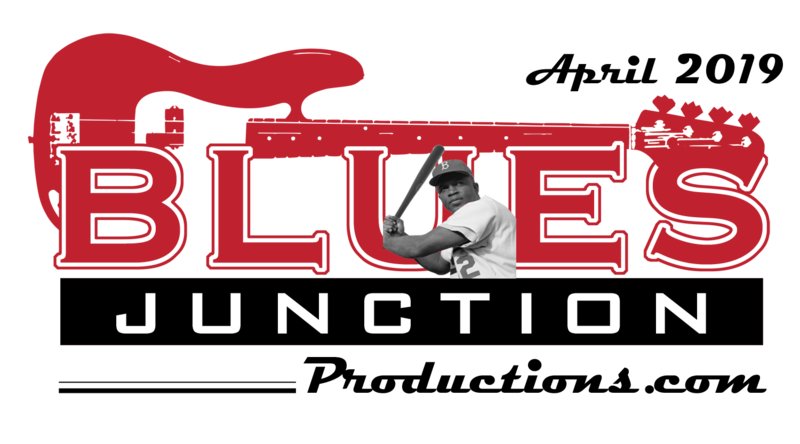 It seems like all of the killer players right now are on the west coast with guys like Kirk Fletcher and Kid Ramos and on and on and on. There are a lot of cats out these days that think they can just, you know, listen to some Steve Ray Vaughan and then they have it. What they don’t understand is that Stevie would eat, sleep and breathe this stuff. It was his whole life. He was into it totally. For him it was an all consuming kind of thing. I loved Stevie. He was my good friend. DM: Let’s talk about your experience playing with Al “TNT” Bragg. JK: I was with him for about four years. I learned a lot from that guy. Al was on Peacock Records back in the 60’s. He wrote a lot of songs for Bobby Bland, such as, Share Your Love and Soul of a Man. He told me he wrote, Call on Me but he sold it to Bobby, well sold it to Duke/Peacock which is Don Roby. The writer’s credit on all that stuff said, Deadric Malone. Al taught me a lot just playing with him and rehearsing with him. I was doing a lot of sessions in Dallas-Fort Worth in those days. I did an album with Little Joe Blue. He was on kind of a small label. I worked with a lot of different artists like Ariel Griffin, Charlie Robertson, Big Ray Anderson and Ernie Johnson. Anyway Al would write for these guys and produce for these guys as well. So I was in the studio a lot and Al was always writing songs for B.B. (King) and Bobby Bland. There were a lot of songs that were written for Bobby that we did demos for, but that he never ended up recording. DM: How did you meet B’nois King? JK: I had heard about him but I had never met him. They reopened a place called Mother Blues here in Dallas. King and I were in there and checking out Roomful of Blues. We were in the dressing room just hanging out and he and I never spoke a word to each other. We just kind of looked at each other. Soon after that I was playing at Poor David’s Pub here in Dallas. I had a regular Monday night gig there. Whoever happened to be available for the rhythm section for that week would play with me. Well King came in one night and I said “Hey man why don’t you sit in.” and he said “OK.” I got him up there and I kept him up there all evening. When we got done that first night I asked him, “Why don’t you do this gig with me every Monday?” He said ok, and that’s how it all started, right there. DM: The rest, as they say, is history. JK: Pretty much. It’s been twenty three years and fifteen albums. JK: Oh yeah! When we first got started, we were rolling into honky tonks for $250 and no rooms. We would be carrying our own little P.A. system. We would flip coins to see who got the mattress and who got the box springs. A few years later we got to the point we were doing both coasts before we’d see home. I remember being gone a couple months and coming home for four days and then doing the same thing again. We were just always out there, on the road. DM: That is harder to do these days. JK: Well we aren’t as young as we used to be. DM: Not only that but with all the blues clubs that have dried up and gone away over the past ten years or so, the distances between gigs is much greater. I mean there are lot of miles between Dallas and The Rhythm Room in Phoenix. We don’t get many of the national touring acts out here on the west coast as a result of that. JK: That’s right. There were a lot of venues that were closer together in those days. Dallas to Phoenix is the norm now. We do love the west coast. Now that we are with Delta Groove Music maybe we can get out there a lot more. We’re grateful to have a gig anywhere. Don’t get me wrong. We love playing the east coast, love playing overseas, but the west coast is one of the places that King and I talk about that we just can’t wait to get back to. It has a funky groove, sunshine and the great climate and all that. You aren’t dealing with 42 degrees below zero weather. DM: We don’t even have to contend with 42 degrees above zero too often for that matter. Speaking of the west coast, you mentioned Delta Groove Music. You guys have had a long journey through record land before signing with Los Angeles based Delta Groove Music. Let’s talk about that. JK: We had a long career with Rounder/Bullseye blues. We then went to Blind Pig and did some albums with them. Then it was off to Alligator and did a few with them. Delta Groove is like a breath of fresh air. DM: Not only are you guys on a new label but you are making your first ever all acoustic album. What was the genesis that leads to such a radical career shift? JK: It started out when we were doing this Freddy King Memorial benefit several years back. We got on the bill and we just did a twenty minute set. So we asked “What do you think about us doing an acoustic duo thing?” They said fine, so that’s what we did. We felt like we were naked up there. It was weird. We’re not standing up there behind electric guitars and in front of amps. No drummer and no bass player. Those twenty minutes seemed like an hour. The people loved it though. Don O, who is with KNON Radio, is a person I admire and respect very much. He was raving about it. He said there was some sort of mojo to what we were doing. Every time we did an acoustic gig we got a great response. We still can’t figure out why but people love it. DM: Do you incorporate the acoustic music into your live sets? JK: We don’t. We thought about doing it that way but we decided to do one or the other. Maybe that’s a selfish way of putting it but I’d rather not switch gears. I’d rather just do one or the other. We either make the gig an acoustic night or an electric night. King and I had a sit down about it and we decided that we weren’t going to play these songs electrically with a full band. To keep the uniqueness of this material we were only going to play these songs acoustically. So I don’t know if that makes any sense to you or not, but if someone comes out to see us play and we’re playing electric guitars with a full band, they are not going to hear these songs. DM: It makes perfect since to me but I am guessing that Alligator didn’t like the idea. JK: I mentioned I wanted to do an acoustic album and they basically came back and said they didn’t see us as that kind of artist. I called Rand (Randy Chortkoff/founder and president of Delta Groove Music) He liked the idea. I almost dropped the phone. DM: One of the things I really like on the new album is that the lyrics are so darn strong. JK: That is pretty much B’nois department. I write the music. DM: There is a song that floored me from the moment I first heard it. It is entitled, My Best Friend. The song isn’t a blues song but it is a damn good tune. JK: That really makes me feel good that you like that particular tune. Let me tell you something Dave, one of the biggest, most devastating things that happened to me in my life is when I lost my mother. DM: I’m sorry. How old were you at the time? JK: I was twenty. I just woke up one morning and my mom was gone, she had passed away and I had no idea that it was coming. It just devastated me. It was so painful that I was pretty much behind the bottle for many years. I was on the road with King when he lost his mother. We were in Michigan when he got a call one morning while we were having breakfast at an IHOP and he learned his mother had just passed away. We had to play that night. I don’t know how he did it. I know it’s called My Best Friend, but it’s about both of our mothers. It is a very personal song. DM: When I heard it I thought it could be about an ex-girlfriend. JK: Oh yeah, that’s a good point. We changed the lyrics so people could interpret it any way they want. We kind of left it wide open. Like you said, it could be about a girlfriend or a lover but it is about our mothers. That was one of the songs we sent to Alligator. They didn’t like it. That’s when everybody drew a line in the sand. It was a deal breaker man. It was like “Hey wait a minute you’re messing with my mama.” I don’t think Bruce (Iglauer/founder and president of Alligator Records) really knew that. DM: There are two other songs in particular that go in a whole other direction. They are Drowning in Red Ink and Ordinary Man. I wouldn’t call them overtly political but they do have somewhat a cultural and social message that’s for sure. JK: That’s true. We have never been particularly political. It always makes someone mad and then we end up on the short end of the stick. DM: You have a couple of covers as well. I can’t for the life of me read these liner notes but Mama’s Bad Luck Child is, I believe a Texas Alexander tune. JK: Exactly! The record has a pretty contemporary feel to it as far as chord changes and what not but I wanted to have a tradional overtone to the whole thing and this tune from the 1920’s I believe helps to give the record a more tradional feel. JK: (laughing) Looking back on it, I guess it was pretty comical the way it went down. We went into the studio after we played at the Simi Valley Cajun and Blues Festival out in California. While we were out there hanging out backstage I would say to King, “Check it out. There is this guy or that guy…” all these great players that are based out there. It took like six or seven hours to get the first song nailed down on Monday because we kept bringing in these great players. That was the really cool thing about it, we did a lot of spur of the moment things it was like “Hey let’s get Paul Size on here. Let’s get Shawn Pittman. Let’s get Kirk Fletcher.” We would just take turns on solos. Rather than just me taking a long solo, or King taking a long solo, we split it up where everybody’s taking one. “Even if it’s just a little measure or two let’s get everybody on here. Let’s have some fun with it.” We kept the same arrangements of the songs. We just split it up a little to have everybody play on it. The first day was pretty wild but by Tuesday we rolling along pretty good. It worked out. DM: It did work out. All that star power is very complimentary without smothering B’Nois and yourself. I couldn’t help but notice that you gave Kirk Fletcher a lot of room. JK: Just because I wrote the song doesn’t mean I have to be hog on it. Kirk played on it because he really made it sound good. I don’t think Kirk was planning on playing on more than a couple of songs but I wouldn’t let him leave. I’m real proud of this album and I’m really thankful that Rand and everybody gave us a chance to do it. I’m grateful that it came out the way it did, because Rand kept saying “Let’s keep it about the acoustic.” and it really worked out. He had a vision for the project and that vision was really cool. 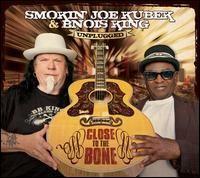 DM: What’s next for Smokin’ Joe Kubek & B’nois King? JK: I would like to get out and tour as a duo. Then I would love to go back to California and do an electric album with King and all these great players out there. DM: Can you ever envision doing a record without B’Nois King? JK: Never! They will have to roll us out of here in body bags. Should you wish to send well wishes and/or donations to Phyllis Kubek. Phyllis has approved this page and these arrangements. However you want to make a contribution to Phyllis, please make a note on the message or check that you are making a donation or sending condolences so it will be clear to her financial institution where the money is coming from. If you have a PayPal account or want to establish one, you may send a donation that way directly to Phyllis at pkubek@tx.rr.com. If you use a credit card, PayPal will charge a small fee to the sender. There is no fee to Phyllis. If you do not have PayPal or prefer to send a check by snail mail, please make the check payable to Phyllis Kubek.